Every day, people who are struggling to make ends meet are demonised and blamed for their poverty. Politicians and the media use abusive language and images. Scroungers. Skivers. Chavs. Underclass. This language is used to fuel mistrust by contrasting supposed ‘strivers’ with ‘skivers’. It is used to justify cuts to our safety net, which will drive hundreds of thousands of people further into poverty. It dehumanises and degrades people who are already struggling to survive. It blames them for an economic crisis which is not of their making. It is deeply unjust. If you oppress the poor, you offend the one who made them. Christians believe that every person is made in the image of God, and has value. We are called to speak out when people are marginalised, excluded and stigmatised. Email your local newspaper: Challenge the editor, and their journalists and readers, to think carefully about the labels they use – and the people behind those labels. Meet your MP to challenge them over their use of language. Read the briefing here. Get your Church involved: Download our free worship and other resources for Poverty and Homelessness Action Week. 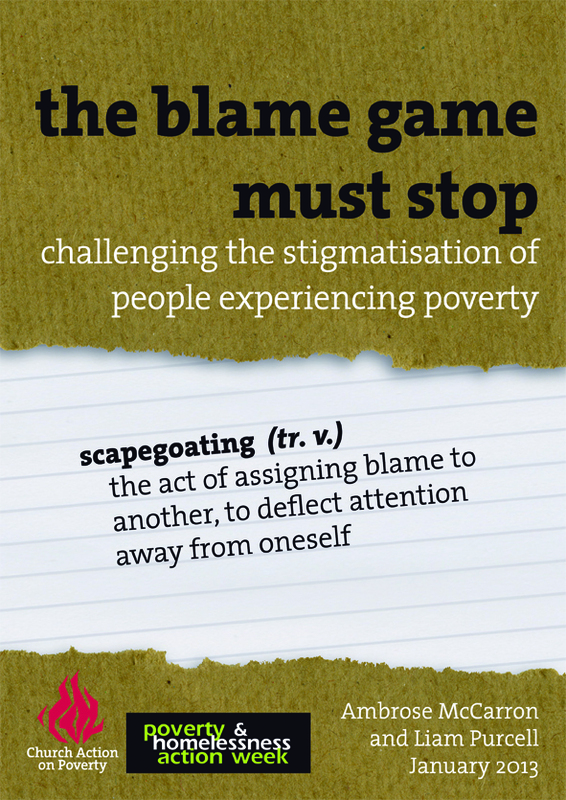 This entry was posted in A Fair Say, Close the Gap, Poverty & Homelessness Action Week by niallcooper. Bookmark the permalink.